Shimmerz Paints: Clearly in Love with Shimmerz Spritz! Clearly in Love with Shimmerz Spritz! 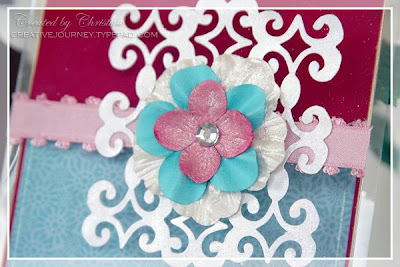 It has been such a pleasure for me to have been invited to join Shimmerz as a guest designer this month! After receiving the package containing the a few colors of the new Shimmerz Spritz, I've been on a Spritz-ing spree! I have to say that I love working with it on my projects! 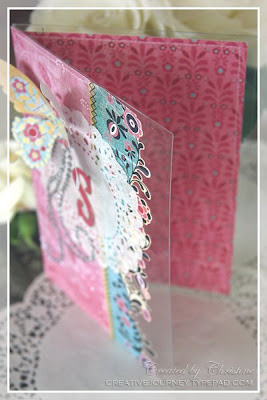 Today I'm sharing a couple of clear cards that I created using the Spritz along with a bit of Shimmerz Blingz. 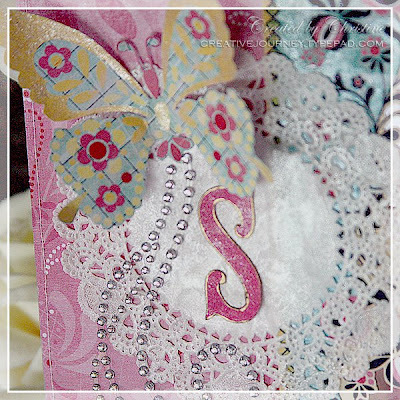 For this card, I sprayed the white doily with some Baby's Breath Spritz, painted some Eucalyptus Spritz onto the blue areas of the patterned paper, painted some Bed of Roses Spritz onto the "s" monogram letter, and painted the edges of the butterfly wings with Pixie Dust Blingz. 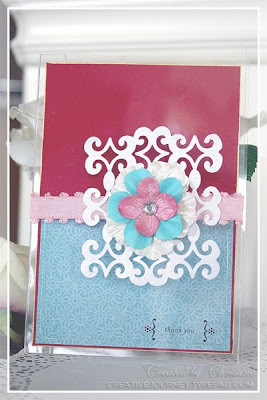 Here's another clear card I created using Spritz. 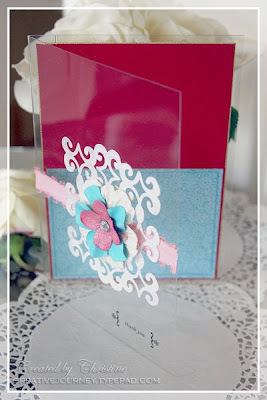 I sprayed the lace paper and white Prima flower with Baby's Breath Spritz and the pink Prima flower with Bed of Roses Spritz. 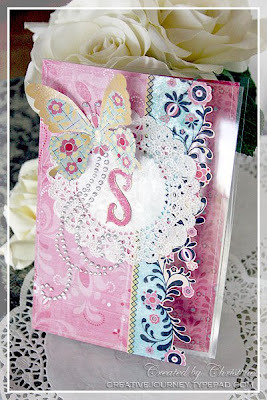 I love the way that the Spritz applies such a great opalescent shimmer to each of the embellishments that I've sprayed! It seems as if I've been Spritz-ing everything that I've been creating lately. I'm sure that you'll be hooked once you give it a try, too! Lovin the clear cards! Great job.